eMarketer states that eCommerce is now a trillion dollar industry. It’s growing at a double-digit percentage year-on-year. There are millions of online stores out there today. Out of these, 700,902 live websites are on Shopify itself. Imagine including the other platforms. With the numbers increasing by the day, consumers have too many options. What makes it more challenging for online stores to acquire and engage customers, is the decrease in attention spans. It has dropped from 12 seconds in the year 2000 to less than 8 seconds today. But there’s another theory pointing out that attention spans aren’t decreasing. They’re evolving to focus more on what’s important or relevant to them. The two above seem like reason enough for cart abandonment rates reaching 80%. But there are a few overlooked reasons why stores are not able to bring this number down. As an online retailer, you can no longer compete on price. Experience is the ultimate deciding factor of your fate in the industry. No online retailer is immune to cart abandonment. You could have the best of products and deals and still experience a high cart abandonment rate. That is why you need to move beyond the basics and dig deeper to find what is luring your shoppers away. We analyzed over 500,000 online retail sites. The following were the most overlooked reasons for a high cart abandonment rate. A price-sensitive shopper is always looking out for better deals and discounts. That is why they have tons of browser extensions as well as apps on their browsers. Sometimes these browser extensions do more harm than good. They inject adware on the consumer’s browser without them coming to know. This adware results in unauthorized and distracting ads like adult content, competitor ads, spammy pop-ups and more to show up on the sites they visit. Even your online store (and you don’t know that yet). Browser injected ads blend with a site’s design. That is why shoppers can’t differentiate between them and the promotions you’re running. Of course, until they click on them and are redirected to another site altogether. These ads ruin the on-site shopping experience. But worse is how they lure your shoppers away from the site, increasing the cart abandonment rate. Once redirected to another site, chances are that your shoppers may buy from another website. Or get distracted enough to not come back to yours. The unnecessary back and forth caused by browser injected ads result in loss of sales. Even for the biggest of brands. But to do so, it is important to identify the adware on the consumer’s browser – before it injects ads onto your site. Shield analyses and identifies consumer browser adware strains in real-time. It then predicts the ads it can inject onto your site and removes them before they show up to the shopper. No distractions or competing ads on your site, decrease your cart abandonment rate by at least 9%! Different types of shoppers come to your online store. While some are looking for a great on-site experience, others are merely looking for deals. More than 80% of American shoppers seek deals and discounts throughout their journey with a brand. Here’s what their typical behavior looks like. They come to your store to search for products they like and add them to cart. Then they begin looking for discounts. At this point, they head over to the search engine to look for deals. Now they might come across a competitor deal or an affiliate hosting your coupons. If your competitor’s deal has a better search ranking, you’ve automatically lost a sale. A price-sensitive shopper isn’t necessarily brand conscious. Any brand giving them a product they need at a better price becomes their choice. If they come back with a coupon of an ongoing deal, they’ll complete the purchase. You’ll not lose the sale, but you’ll end up paying double to the affiliate. But if they come back with an old, invalid coupon more than once, you’re going to lose the shopper. Simply put, your cart abandonment rate isn’t going to decrease if your coupons are not easily found. You cannot stop people from searching for discounts and coupons. You can’t win them back if they do find good discounts elsewhere. However, what you can do is make sure the coupons on your site are visible to them before they leave. 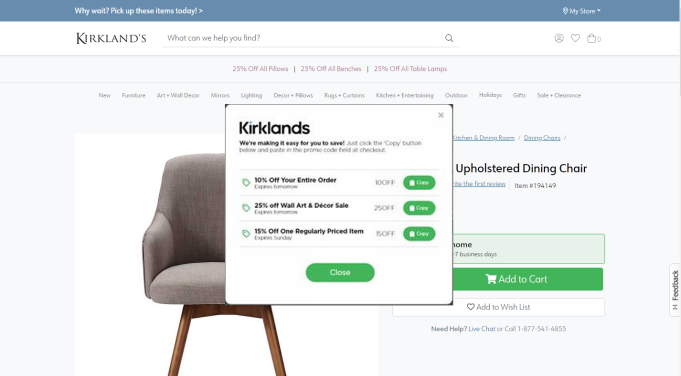 Make your offers stand out on your product and checkout pages. There are a few effective ways to do this. You can display a banner at the top of all your pages and the home page to promote an ongoing offer. Or you could add a ‘view offers’ button on the checkout page. But if you want to target only the price-sensitive shoppers with offers, you need to identify them first. Engage helps track the to and fro movement of these shoppers from your checkout. It monitors the number of times a shopper tries coupons to avail a discount. In case they come back with even a single invalid coupon, it then targets them with a popup window. This window displays all the ongoing offers on your site. Decreasing the shopper frustration, this automatically reduces your cart abandonment rate. A complicated checkout process is one of the top reasons for a high cart abandonment rate. 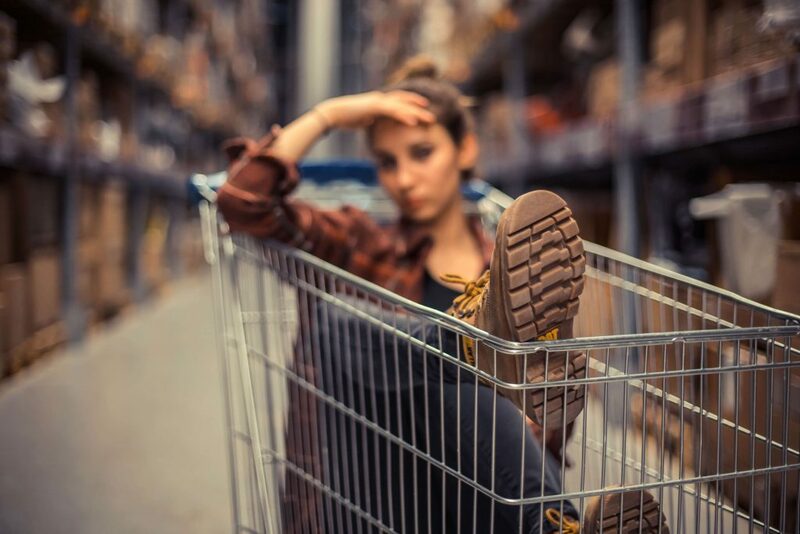 A break or friction between cart to checkout could disconnect customers from the purchase process. If the process requires filling out unnecessary information and long forms, the shopper is likely to bounce off. The consumer wants to make the purchases quickly. 30% of shoppers abandon carts when asked to even sign up for an account. Similarly, a non-mobile friendly checkout process is a massive disappointment for shoppers. In a digitally advanced era, most people browse and shop on-the-go. However, as reported by Market Wired, 88% have a bad experience using mobiles for shopping. Their pain-points include poor navigation, small product images, and a complicated checkout process. Imagine how difficult it can be for customers to fill a form that is not optimized for mobile. Retailers offering a mobile-friendly experience have better chances of winning more sales. And thus, reducing their cart abandonment rate. TLDR: Make it easier for the shopper to complete the purchase. Start by reducing the number of steps required to check out. Ask for only the necessary information in the form. Additionally, offer social login or guest check out to those who don’t want to register for an account. And most importantly, optimize for mobile. Ensure CTAs and images are visible. Double-check that shipping options, payment options, and price related information are visible too. The best way to simplify checkout is to think like the shopper and A/B test with smart tools like Optimizely. The number of brands and online distractions is increasing by the day. That’s why even enterprise level online stores struggle with a high cart abandonment rate. So we took into account all the friction being caused digitally between a brand and a shopper. And we listed down the five technologies that you need to overcome all the above challenges! 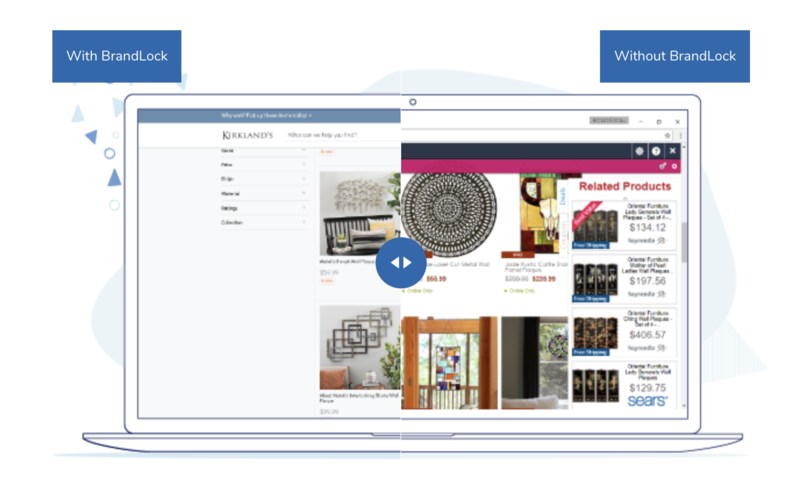 Right from removing distractions caused by adware to personalizing the on-site experience, optimizing checkout and more, it’s time to give an upgrade to your eCommerce stack. Check out the five technologies you need to increase conversions and reduce the cart abandonment rate, here. What’s your go-to strategy and technology to battle a high cart abandonment rate? Reduce your cart abandonment. Turn shoppers into customers! PrevPreviousAre You Double Paying Affiliates For Shoppers Acquired Through SEM Channels?